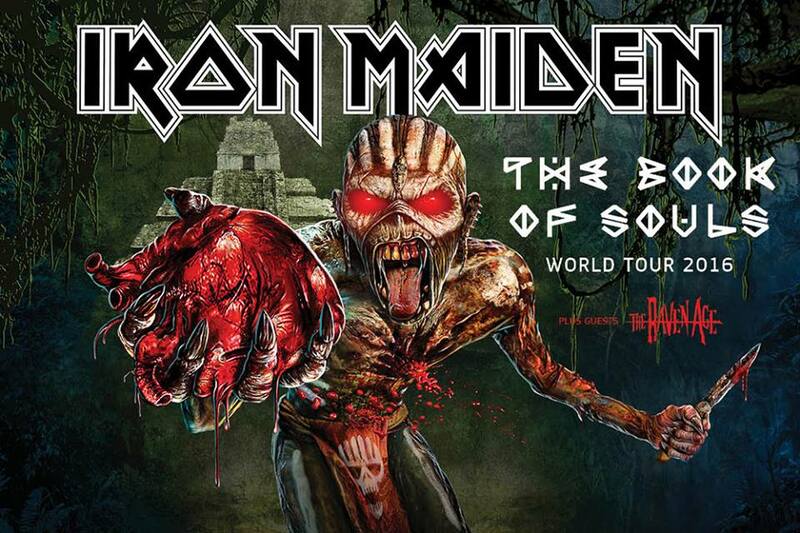 Maiden will open The Book Of Souls World Tour in Fort Lauderdale, Florida on 24 February 2016, playing nine shows in total, finishing up at The Forum, LA on April 15th. Canadian fans please note that your dates will be announced very soon! Tickets are on sale Oct 10th with fanclub presale on Oct 6th – see ironmaiden.com for details.